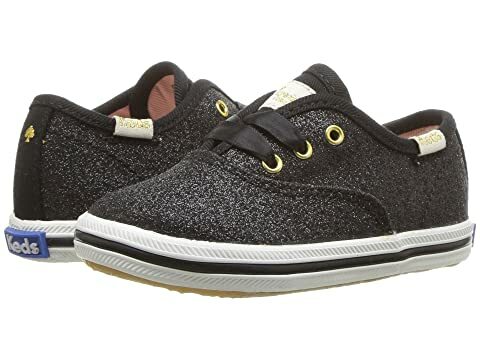 Her first steps will be a fashionable memory with the Keds® x kate spade new york Kids™ Champion Glitter Crib shoe. I ordered these for my daughter's first birthday and they are super cute!! Originally ordered a size 2 and couldn't even get her foot in them. I called customer service and they were fantastic! Sent me a size 3 immediately with no questions asked and gave me 2 weeks to send back the 1st pair. They got here very quickly and the size 3 fit her like a glove!